Is tech trouble getting you down? It's making Sian's life a misery! Join her in this video guide and learn how to tackle something that can affect us all when we're working with technology: troubleshooting. What do you do when your computer stops working? Students at an academic institution might be able to contact IT support – but what about when you're studying on your own as a distance learner? You need to develop your digital skills so that you can solve – or troubleshoot – your problems with technology yourself. Not sure how? Don't worry – Sian is here to help you out! Scroll down to watch her video and get rid of your techno troubles. Don't get angry! 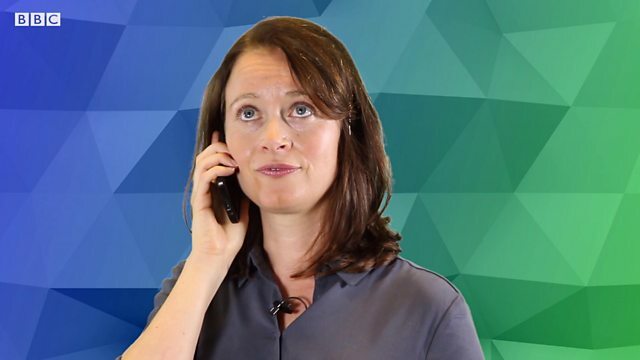 Sian's got lots of tips from IT support for solving tech problems. While you watch the video, note down what she says about: SAVING your work, the SOFTWARE that helps keep you safe, and what YOU can do to reduce the risk of technical issues. Oh, hi there! Just waiting to get through to IT support. "Your call is important to us, please wait and you will be connected soon… you are number 199 in the queue"
I've been waiting for twenty minutes already! "Please wait and you will be connected soon" I've got a problem with my computer and I need to get IT support to fix it. Trouble is it takes a long time to get through to them. "Your call is important to us" I wish I knew more about computers so I could troubleshoot my technical problems. ".you are number 199 in the queue"
Well, that took a long time. Turns out my computer has a virus and needs to be cleaned. So that's what I want to talk about today: troubleshooting problems and avoiding pitfalls when working online. So what are some of the digital problems we can face as distance learners? One issue that all digital distance learners need to be aware of is keeping their work safe. Imagine working for hours on a project and then to lose it all! That's enough to make anyone mad! So always make sure you save and back up your work. Backing up means 'saving your work in at least two separate locations so that if you lose one the other one is safe'. It's a good idea to back up your work to the cloud. That's an online place to store files, so if something happens to your computer, you can always find your work again. Get into the habit of backing up your work: it could save you a lot of trouble if you do! So what other dangers do we face online? As a distance learner you will be using the internet a lot to complete your studies. And a big threat to all of us online is infecting our computers with a virus or other malware. These are programs specifically designed to attack your computer and make it unusable or hand control of it over to somebody else. We all need to be careful to avoid this happening as there are thousands of virus programs out there trying to get onto your computer. The best way to protect yourself from digital attack is to have good security software on your devices. Make sure you have up-to-date anti-virus software installed on your machine and scan your device regularly. You can also use a firewall. A firewall will block other computers trying to take control of your computer. And always make sure you keep your device's operating system updated – that way you get all the latest security updates you need to keep them safe. Those programs will help protect your computer, but the way you behave is also important. Never install a program on your computer unless you are sure it is safe to do so. And always be careful when opening attachments in emails. Do you know the person who sent it to you? Have you scanned the attachment with anti-virus software? Those are a few tips to help you avoid making the same mistakes I did! Usually, your distance learning provider's digital platform will be secure, but you can never be too careful when working online. So be careful out there! We asked you what Sian said about SAVING work, using SOFTWARE and how YOU behave with technology to avoid problems. Did you spot these three things? Check your answers with this activity. What did Sian say about 'backing up' your work? Is it a good idea to keep it up to date? 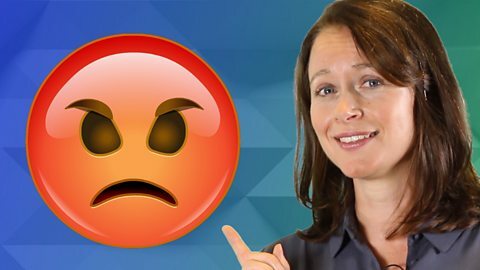 What did Sian say about using antivirus software on your computer? What did Sian say about installing software on your computer? Keep your work safe – save your work in more than one place. You could even back up your work to the cloud to make sure it doesn't get lost! When surfing the internet, watch out for viruses and malware – these are programs that are designed to attack your computer and make it unusable. Make sure you have good security software on your devices. Antivirus programs can help keep you safe – but you need to keep them up-to-date. Block other computers from trying to take control of your devices with firewall software. Make sure you keep your computer's operating system updated – that way you won't miss out on security upgrades that keep your computer protected. How you behave with technology is important – never install a program you don't trust, and always check email attachments before you open them. That's all for now. Next time, Tim will be here to give you top tips for using technology to work collaboratively with other students. In the meantime, visit our partner The Open University for more digital literacy tips – just click on the 'Where next?' link.